Did you know 56% of women allow their husbands to make the key financial decisions in their household? This statistic suggests many women choose antiquated habits because of their lack of financial confidence. But, what if there was a retirement guide for women that could help you feel financially adequate to your male counterpart? Would this faith in oneself change the course of your financial destiny? You’re in luck because we have created the ultimate retirement guide for women. This guide will help answer all of your burning financial questions and teach you how to take the appropriate action toward achieving your financial goals and aspirations. Have you actually taken the time to paint your happily ever after retirement picture? Do you know the lifestyle you want to live or how you want to spend your days? Neglecting to establish your retirement goals is like playing darts without a bulls-eye. If you don’t have retirement goals thus far, it’s time to start the process of making some. Imagine your ideal life in retirement. Think about the activities you will want to engage in and the destinations you’ll visit. Make your plans as detailed as possible. The more detailed you are, the better chance you will have of reaching your goals. Your plan will assist you in determining exactly how much money you will need to support your goals. If you’re married, ask your spouse to create retirement goals with you. You want to make sure you’re on the same page and not heading in opposite directions. This is a great time to compromise and determine where you want life to take you together. Once you have determined your ultimate retirement goals, it’s time to calculate how much money you will need in order to support this lifestyle. Try using a retirement calculator to help you identify a rough estimate of the amount of money you will need. Whether you’re single or have a companion by your side, partnering with a financial planner with retirement expertise is one of the best things you can do to boost your financial confidence. Retirement planners are experts in the finance industry, and they have helped hundreds of people understand and optimize all of the pieces of their financial puzzle to help achieve the life they’ve always dreamed of in retirement. Not only are retirement planners amazing financial resources, as you work through the process of creating your written plan, they can become your trusted friend and confidant. Not only do they provide support and guidance when faced with tough financial decisions, they can help you see your entire financial picture and suggest options and strategies to aid you in achieving your ultimate goals. By working with a financial planner, they will encourage and direct the tough conversations to help you be prepared when the unthinkable happens. If your significant other has handled all of your finances up until this point, schedule a meeting to review your current financial plan and ask clarifying questions. Then, annually participate in the review of financial documents, investment accounts, retirement savings, insurance policies, and any other accounts that may involve your financial future. The more you understand your own financial plan, the better you will be able to manage your finances. Do you how much you have in savings? From retirement accounts to additional assets, you need to know exactly how much you have set aside for retirement. This will help you determine if you’re on track to live the life you envision in retirement or if you are falling short of your income goals. A retirement savings calculator is a great resource to help you determine if you are on track for your ultimate retirement. Keep in mind, this is an estimating tool to help guide you. If it appears you have a shortfall, this is a great time to increase your savings. One way to increase your savings it to participate in your employer’s company retirement plan. Many employers provide company-sponsored retirement plans such as a 401(k). Some of these programs encourage contributions by offering matches to boost your retirement savings. If you’re not participating in such a plan, you may be missing out on additional income in the future. If you’re unsure of the amount you’re contributing and whether you’re getting the match, reach out to your Human Resource Department to review your account. You may also want to consider investing in a Roth IRA to bolster your retirement savings. Roth IRA accounts allow you to make contributions with after-tax dollars. When you’re ready to take distributions in retirement, you won’t have to pay income taxes and can avoid penalties if you withhold taking distributions until after you reach the age of 59 ½. Speak with your financial planner for guidance. They can help you determine the best options to maximize your retirement savings. Every woman has a different financial situation. For some women, expenses may increase in retirement, while for others they may decrease. Having minimal expenses in retirement will help ease financial stress and responsibility. No matter how old you are, it’s important to work on minimizing your expenses. For example, you may want to work on paying off all of your debt before you retire. Not only does debt weigh you down financially, but it can put a damper on how you’re able to spend your time in your golden years. Paying off your debt before retirement can boost your financial confidence and give you freedom and flexibility to use your money toward your financial dreams. Write down all of your expenses and determine where you can cut back as you continue your journey toward retirement. Wealth management is more than just investment accounts and selecting the appropriate risk tolerance for your portfolio. It starts with your budget. Managing your money and monitoring your spending is a continual activity throughout your journey to retirement. If you don’t understand what’s coming in and going out, it’s almost impossible to plan for the future. A good guideline to use is the 50/30/20 rule. This rule allows you to spend 50% of your net income on fixed expenses such as your mortgage, 30% on variable expenses such as groceries, and 20% toward savings. The 50/30/20 guideline is a great starting point for keeping your finances on track. Keep in mind, budgeting isn’t concrete, it’s ever changing. Your expenses, priorities, and goals will change throughout your life. It’s okay to adjust your budget to change with your aspirations. Many Americans fear that Social Security benefits will run out by the time they retire. However, according to the Social Security Administration, full benefits will be paid until 2037. After that, retirees could receive only 76% of their benefits. Therefore, it’s even more important to maximize your benefits if you are projected to receive a lower amount. Work at least 35 years: Your benefits are calculated by the top 35 income earning years in the workforce. If you didn’t work 35 years, the Social Security Administration will apply 0’s to those years. This will lower your benefits. Earn as much as possible during your working years: The more you earn, the higher your benefits will be. Wait until you’re 70 to receive your benefits: If you can delay receiving benefits until 70, the Social Security Administration gives beneficiaries 132% of their benefits. To review your current work history, sign up at my Social Security account. Insurance is an essential piece to the financial planning puzzle. You worked hard to save and invest, and you need to protect the assets you grew, which includes yourself. The world of insurance can feel like you’re venturing down a long dark rabbit hole, but luckily there are plenty of resources to help you navigate the confusion. Health insurance: According to Fidelity Retiree Health Care Cost Estimate, a 65-year old couple who retired in 2018 would need about $280,000 just to cover health care expenses in their golden years. As health care continues to be one of the largest expenses in retirement, you may want to consider opening a Health Savings Account (HSA) to offset some of the costs. Long-term care insurance: The number above does not include long-term care costs. If your nest egg won’t support the extra costs you will need to find additional options. One option is to purchase long-term care insurance. This type of insurance may help ease the financial burden you and your family may face in the future. Life insurance: Life insurance is designed to protect your dependents in the circumstance of your unexpected passing. 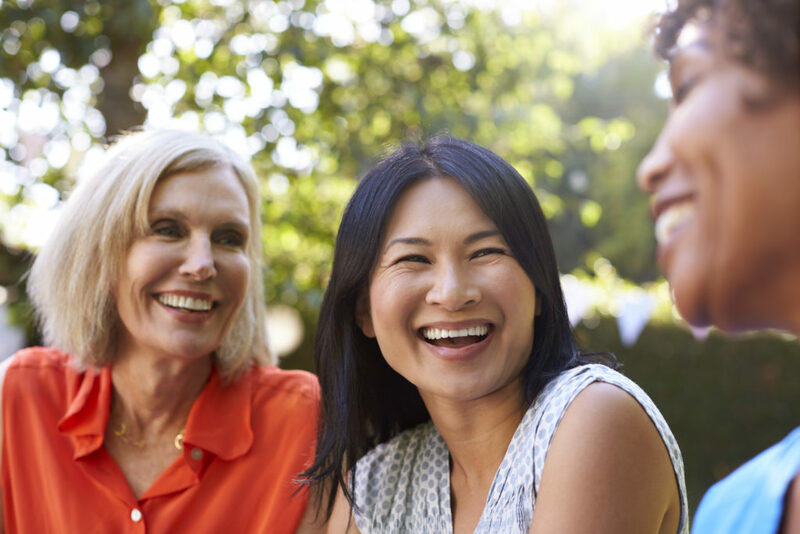 Many women think they don’t need coverage, but if you have any debt, have loved ones who rely on your financial support, or need to pay for financial expenses when you pass, you need a life insurance policy. Just because taxes are certain, that doesn’t mean you can’t create a strategy to minimize them. Since tax code is extremely complex and ever-changing, enlisting a tax professional may be the best solution. Tax professionals can help you develop a tax strategy customized to your specific situation. With women living longer than men and half of marriages ending in divorce, nearly 8 out of 10 women end up exclusively responsible for their financial future. It’s likely that over the course of your life you will have to manage your own finances. Building financial skills and knowledge will help you feel more confident and can increase your odds of achieving a secure retirement. If you’re looking for a financial planning partner who can help you realize your retirement goals, we have financial planning offices in Redmond, Seattle, the Tri-cities region, and Denver. Our firm focuses on helping retirees and those preparing for retirement achieve financial freedom by creating a plan that shows them how they can have the income they need and want until they turn 100. If you’re ready to take the first step to achieving your retirement goals, our team is ready to assist you. We’ve helped hundreds of couples and individuals smoothly transition with confidence, and we’d like to do the same for you.